Got my data… now what??? Since my last blog post, I have finished my data collection at the Cleveland Museum of Natural History! I had such a great time and was so amazed by all of the wonderful people and, of course, the Hamann-Todd Osteological Collection. It was so nicely organized that I was able to get my entire sample size completed and have time to research an additional 40 individuals. I had the support of the collections manager, Lyman Jellema (see pic below), who really helped me understand the time period and the people. This will be an invaluable help as I plan to build a bio-cultural understanding of the dental health of Cleveland’s underprivileged class in the early 1900s. 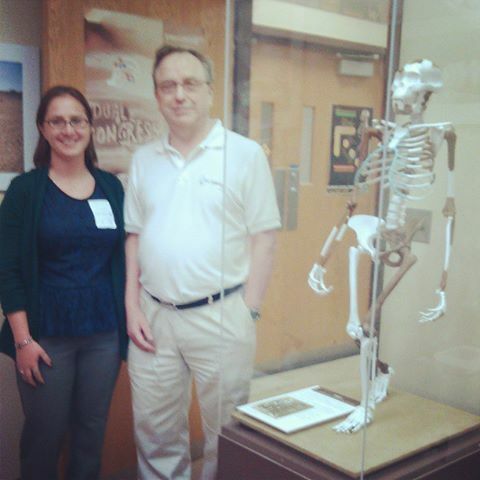 As I mentioned in my last post, I met a security guard, Kerianne, who has decided to work with me on a project that we hope to present at the 2014 Paleopathology Association Annual Meeting in Calgary, Canada in April! Overall, I had an amazing time at the CMNH and can’t wait to go back. I have defend my thesis proposal and collected my data… what do I do now? I recently signed up for a program called The Productive Writer through Cornell University, and the first tip they sent me was WRITE EVERY DAY. They say that if you commit to writing at least 90 minutes a day with no breaks (no cell phone or Facebook! ), and do this for two weeks, it will become a habit and you will FINISH your thesis or dissertation. To be honest, sometimes I will do anything to delay writing because I am afraid to start. But getting started is the hardest part, and things get easier from there. Another tip they gave was having a symbol to help you remember and motivate you to write. 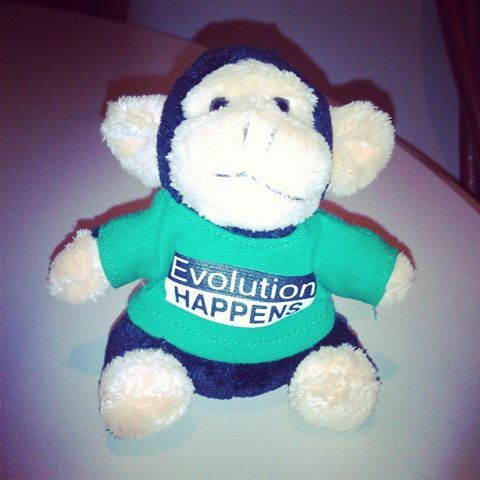 I have a little chimpanzee stuffed animal that sits on my desk. He starts every day facing away from me. If I finish my writing, I get to turn him around to face me; if not, he has his back to me, like he is angry with me. Right now, I have a lot running around in my brain and some free time, so I have modified The Productive Writer’s tip to fit my personal needs. My goal: I am going to work on my thesis for three hours every week-day and two hours every day during the weekend. During these time blocks, I am either going to be doing data analysis or writing. I have set up biweekly meetings with the three members of my thesis committee so that I will be giving them chapter updates and data analysis results. I am hoping to have about ten chapters, writing one chapter per two weeks (plus additional time for edits). If anyone has any advice on chapter writing that would be great. Should I go in chapter order? Is my time frame realistic? I’ll write again soon with updates! The book how to write a master’s thesis by Yvonne N. Bui has really good advice on how to write the chapters of your thesis.